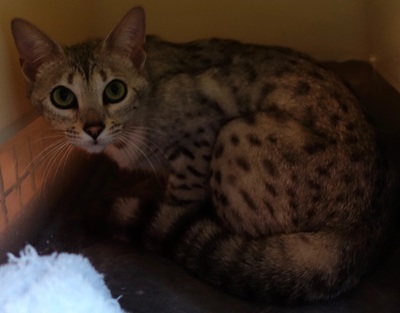 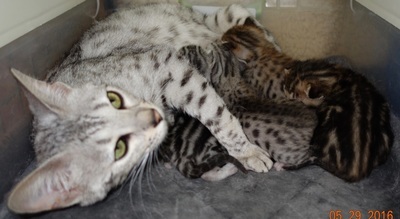 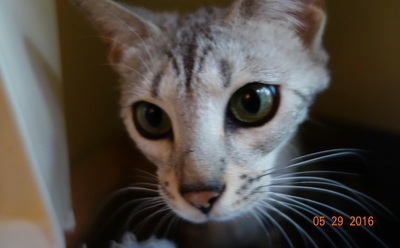 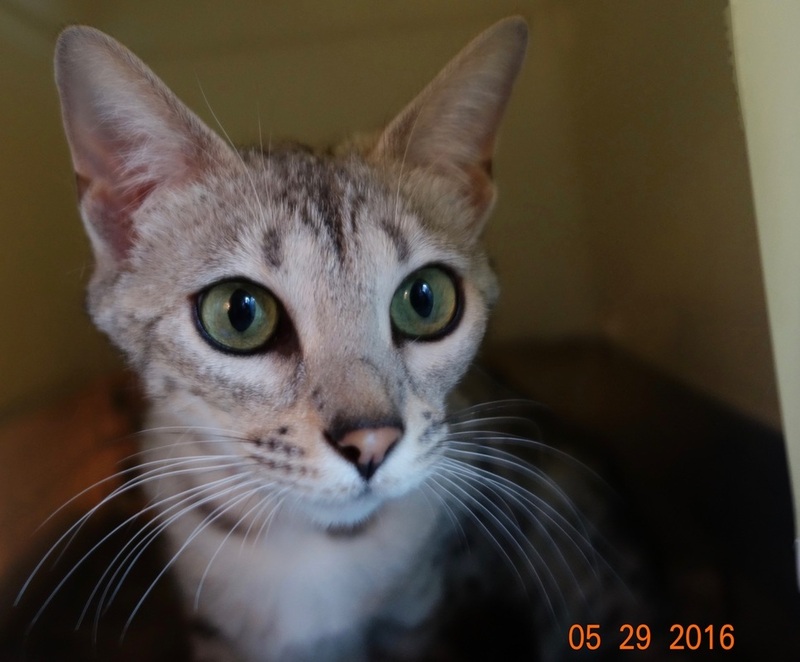 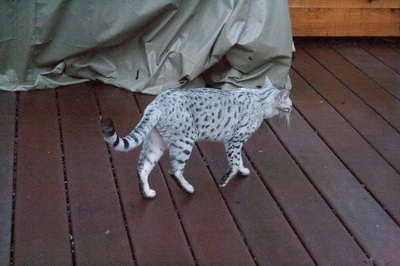 Charybdis Naia Sendar - Northwest Bengal Cats Beautiful, friendly Bengal Cats and kittens for sale in the Pacific Northwest of Oregon. Naia is a long and lean silver girl with beautiful horizontal pattern of smaller black spots everywhere, even down her legs and tail. Her green eyes are luminous windows to her sweet personality. 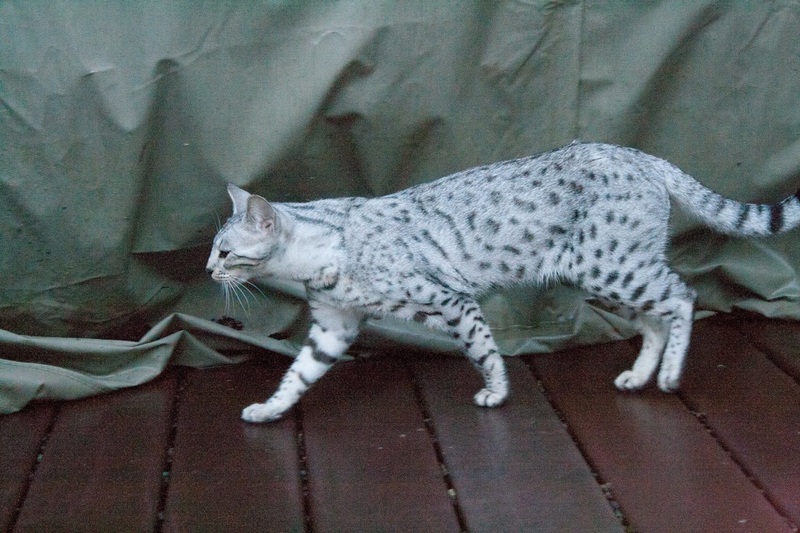 She carries a fantastic marble pattern gene courtesy of her mother, Charybdis Ahsoka Tano and sepia, a recessive color gene from her father, Raindancers Irish Creme.